Paper products have been – and likely always will be – an important component of the education market. Schools of all levels, from elementary to college, go through a lot of paper, making the industry one of the biggest consumers of print materials (and, therefore, one of the best customers for print service providers). As with many sectors, many aspects of the education field have started to transition toward digital platforms. The e-learning industry has gained significant popularity over the past few years, with digital developments in mobile technology and content making it easier than ever for students to access and engage in learning assessments on the go. But just because virtual classrooms are becoming more widely adopted, that does not mean the use of paper in education is diminishing. Printed documents and forms continue to play a powerful role in the industry due to their various applications and uses. Below are some of the most critical areas that print service providers should focus on marketing their products to. Progress reports and report cards are some of the most important paper products used by institutions of education. Not only are they a way for educators to communicate with parents of grade-level students, but they also act as a record of their progress and tracking of performance. Although the frequency of distribution varies depending on the level of education (quarterly, yearly, etc.) these documents are often sent out at least twice a year, sometimes more. When you consider all the individuals they are used for, and how often, it is easy to see why these are some of the most important print materials for schools to invest in. This month the Tampa Bay Times reported that paper report cards may very soon be a thing of the past for Florida schools. Hillsborough County recently made the decision that, effective this month, middle and high schools will now post students' grades online and, while the printed versions will be available, parents' will have to make a separate request to obtain them. Some surrounding counties of the area have already begun using this strategy, while others have continued the use of paper versions, though they will start offering digital format next year. The reason for this change was fueled mainly by a desire to reduce costs, as well as eliminating issues with the report cards not reaching homes. Of course, one of the questions that concerns some is how this will affect the families that may not have access to the internet or digital devices as easily as others might. This is why some school districts have not been so quick to adopt paperless report cards, the source said. Even if more schools do move toward this method of report card distribution, it is not likely to entirely replace the need for print versions. In addition to creating a paper trail of documentation for security purposes, there will also continue to be parties who simply prefer paper versus digital. Print distributors should focus on marketing standardized paper products that ensure the school system can create uniform report cards that adhere to the same standards at every grade level. This is important to many parents, especially if they have kids in multiple grades at the same school or keep their children enrolled there for a number of years. Schools need to make sure they partner with a printing service provider that can produce one standard format of report cards each year to ensure consistency. Similar to how financial institutions still keep paper records because it is required for state and federal regulations, many schools need to keep printed documents and forms to protect and store sensitive student information. Furthermore, there are certain records that can only be accessed by parents signing a release form – such as those that fall under the federal Family educational rights and Privacy Act, or FerPa, as well as the Individuals with Disabilities Education Act, or IDEA. There is a lot of paperwork involved in not only applying to a school, but going through the formal registration and enrollment process as well. Having the necessary forms and documents in their tangible, printed form is helpful for both the school and its students. 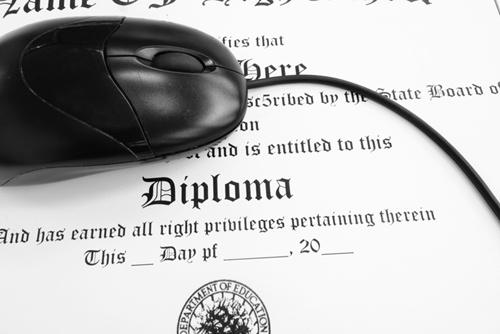 While many colleges and universities now accept online applications, most systems have not gone entirely paperless just yet. Schools still need printed materials containing the information. Perhaps more important, though, is the fact that every institution of education needs to make sure that every one of the students that enters through its doors can be accounted for – and ensuring this requires having sufficient access to the right materials for proper documentation. And this is exactly what the right manager print services can offer. As any college student (or parent) can tell you, education does not come cheap. Enrollees are not just paying for a class or a semester; they are making major investments in their future. Although private universities often cost a lot more than community or public schools, at the end of the day people spend a lot of money on degrees – and rightfully so. But it is essential that when a check is written to a university, the bursar's office is able to ensure the highest level of privacy and protection. Keeping payment information, as well as the personal details of students – especially if they are minors – secure is a critical responsibility of schools. Working with the right printing service provider can help ensure the organization is exhausting its efforts to keep its customers and their sensitive information as guarded as possible.